Tools and hardware market is a big market in Yiwu International Trade City. 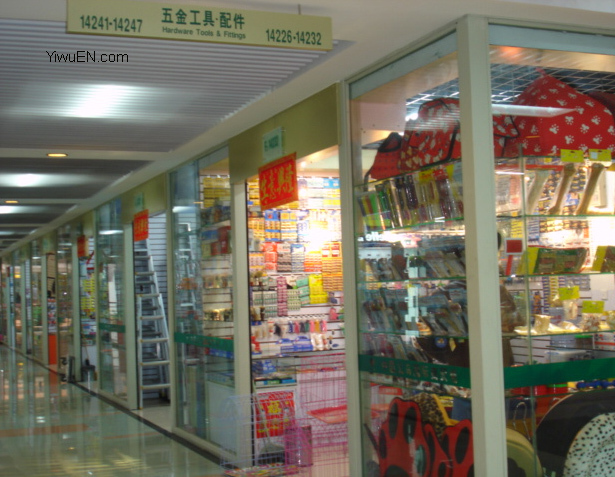 Around 3,000 shops are located in G2 and F2 sections for tools and hardware. Screw drivers, pliers are included in this area as well as locks and screw drivers. One sentence: there are so many products. We are sure that you can find what you need. About 70% shops are opened directly by the factories. Around 26% are general agents, and almost 3.5% are exclusive distributors. More than 80% of them are from local cities. The rest of them are from other parts of China, like Guangzhou and Jiangsu province. Factory direct sales offices, opened by factories like Yongkang and Wenzhou, see Yiwu International Trade City as a window to show customers that they can offer a better price with the same quality. Then they will build their own advantages in this industry. So Customers can get a cheaper price here than that even from factories. It means even you go to factories, they won’t offer customs such a low price like that in Yiwu market. And the truth is that there are attracted customers around the world to place orders, not only because of low price but also because of available small mixed order. Now big brands like Korean 777 nail clippers, Bosch power tools have been brought into this market. It is certain that there are more than half of the China Top Brands now. The shop assistants in Yiwu Hardware Tools & Fittings Market can quote the price through calculator. And if you need more information of the products and reduce the chances to make mistakes, we advice you to have a interpreter. It is not just an interpreter, but a bridge for you to communicate with suppliers. We promise that the first rate services will be offered, and treat our relationship carefully and friendlily. Welcome to Yiwu Hardware Tools & Fittings Market!